Since the late ’70s, players who want subtle crunch and singing sustain have turned to the famous Ibanez Tube Screamer for its signature light drive. Unsurprisingly, the familiar green stompboxes have served on the pedalboards of six-string heroes in every genre, from metal to country. Today, we’re taking a look at how five of the most iconic Tube Screamer aficionados use their units to coax incredible sounds out of their rigs. Hopefully, these visionaries will inspire you to start sculpting your own signature, screamin’ tone. And once you've mastered your Tube Screamer, find out how to use Big Muffs to nail the tones of five guitarists too. 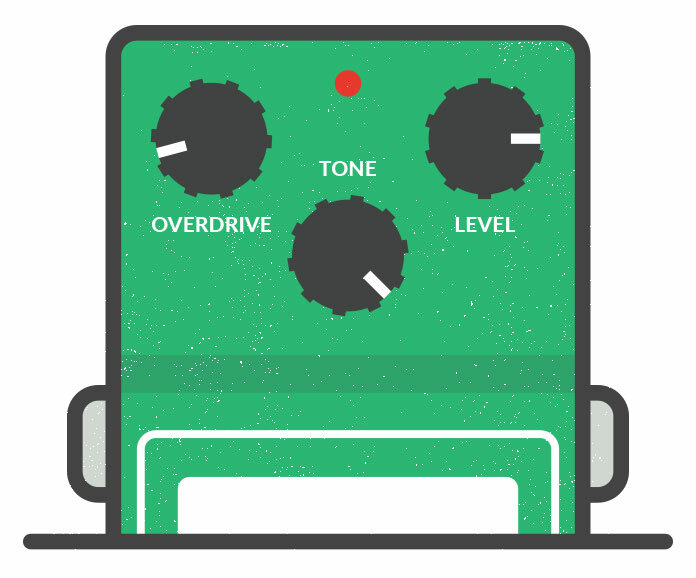 Looking to capture that searing SRV tone? Well, interestingly enough, there’s no single screamer pedal that he used throughout his career. He was actually known to cop new versions as soon as Ibanez released them. What was consistent is how the Texas bluesman deployed them: very low drive with a very high level to push his amp from verge of breakup to sizzling tone machine. He also added upper harmonics to contrast his dark tone, though he’s known to have used all five Stratocaster pickup settings over the course of a song to achieve a broad sonic palette. Phish's Trey Anastasio has become associated with psychedelic textures and lyrical soloing, riding tasty grooves well into the night. Most of his playing is clean, but when he needs a little grit he’ll step on his first of two TS9s. 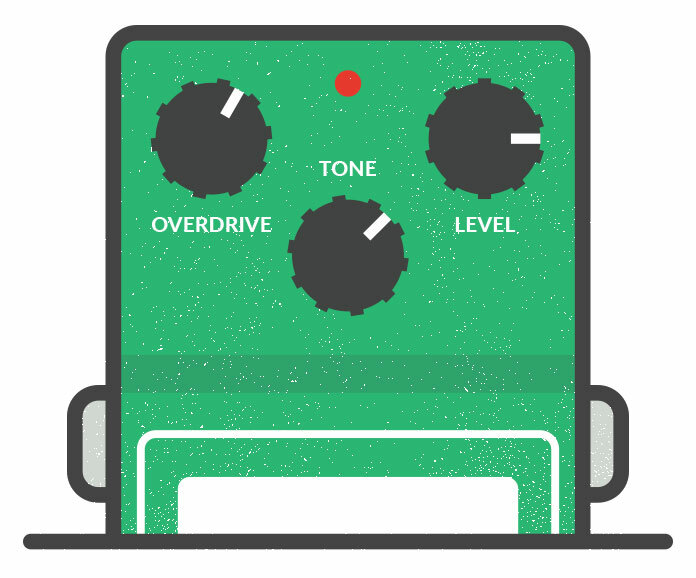 His second pedal adds serious sustain, with its maxed-out level and drive knobs feeding into a Ross Compressor. He’ll also occasionally engage both dirt boxes simultaneously for a gritty howl that’s somehow totally smooth and blistering hot all at once. In a two-guitar group that’s notorious for scooped EQ, Kirk Hammett has long used the mid-bumped sound of a TS9 to cut through the mix. Whether driving a clean amp, focusing the snarl of his drive channel, or adding grit to his wah work, there are classic TS9 tones all over Metallica’s albums and concerts. Get those fiery sounds for yourself with a dimed drive and a tone that’s nearly maxed, with the level just a touch above unity to make your tubes really squeal. The Edge is one of the most unique guitar heroes around. While most axemen blow you away with feverish runs and screeching bends, his sonic approach is built more around weaving beautiful sonic tapestries with layers of lush delay and modulation. However, on U2 classics like "Pride (In the Name of Love)" and "I Will Follow," he trades his pristine and prismatic sonic landscapes for some light TS9 bite. To match his tone, put the drive at 2 o'clock, push the tone back to 11 o'clock, and place the level at noon. Joe Bonamassa may have moved away from pedals more recently, but there was a time when he followed SRV in his use of a Tube Screamer. Running up to four amps will push a lot of air, but often, the crunch of Bonamassa's tone has come from a vintage TS808. Set the level above unity and put the drive at 1 o’clock, while the tone gets a notch toward the treble side. This will push your tubes just enough to start purring. 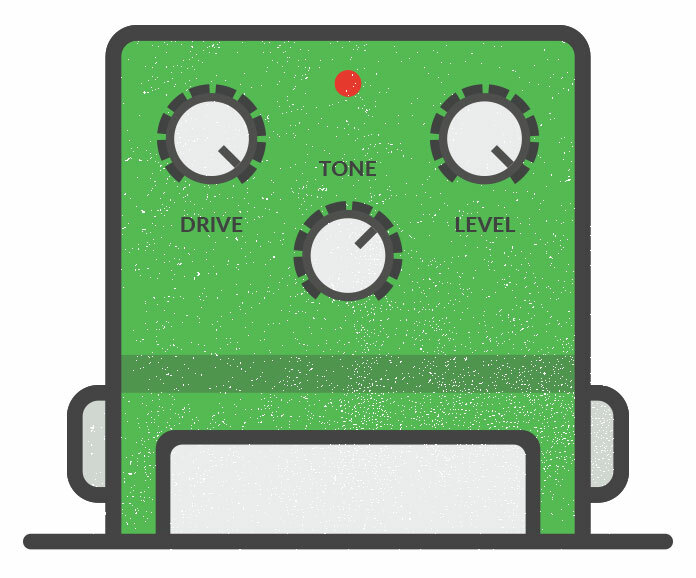 From there, you can add various dirt pedals to bring more grit to your tone.